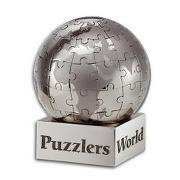 Picture puzzles includes logo puzzles, how many squares, circles, triangles, faces, animals puzzles, impossible object illusions, optical illusions, moving object illusions. Eye test: How many sqaures in below picture? Anyone here who can solve it? A lady is found dead in the washroom, out of these 4, who you think have killed her and why ? Can you spot the four hidden words in the picture given below? Can you find the hidden tiger in this image ? Where is this guy looking?